He was insured last year through his father’s job at a steel mill in Utah. When Dillon started rationing his insulin, the mill had just switched to an insurance plan with a high deductible, which meant his parents would have to pay $5,000 out of their own pocket before the insurance would kick in. Hooley’s parents reportedly discovered his scheme after the teen went for a medical appointment and “shocked” the doctor with his high blood sugar levels. The Hooleys now have a different insurance plan that reduced the cost of Dillon’s life-saving medication from $800 a month to $160 a month, but CNN says the family still struggles to afford the drug. Type 1 diabetics cannot survive without insulin, and even though Dillon hadn’t entirely stopped taking the medication, he could have still experienced life-threateningly high blood sugar levels. His case highlights an escalating problem. The scientists who created insulin sold it to the University of Toronto for $3 in 1923, according to the Harvard Political Review. But since then, major pharmaceutical companies have consistently raised prices on the drug, and people who need insulin to survive increasingly find themselves in dire circumstances. NBC News reported earlier this month that Mallory Lorge, a federal worker, had begun rationing her insulin during the government shutdown. Lorge could no longer afford the cost of the medication. “I can’t afford to go to the ER. I can’t afford anything. I just went to bed and hoped I’d wake up,” she told the news channel. At least three diabetics died in 2017 after rationing insulin. One of them, Shane Boyle, had cut back on his use of the medication in order to pay for his mother’s hospice care. He launched a GoFundMe to pay for the drug, but died one week after she did, $50 short of his goal. Boyle’s relatives had to start their own GoFundMe to pay for both funerals. In 2018, an Iowa mother told KWWL News Channel Seven that her 32-year-old son, Jesse Lutgen, died after he ran out of money for insulin. 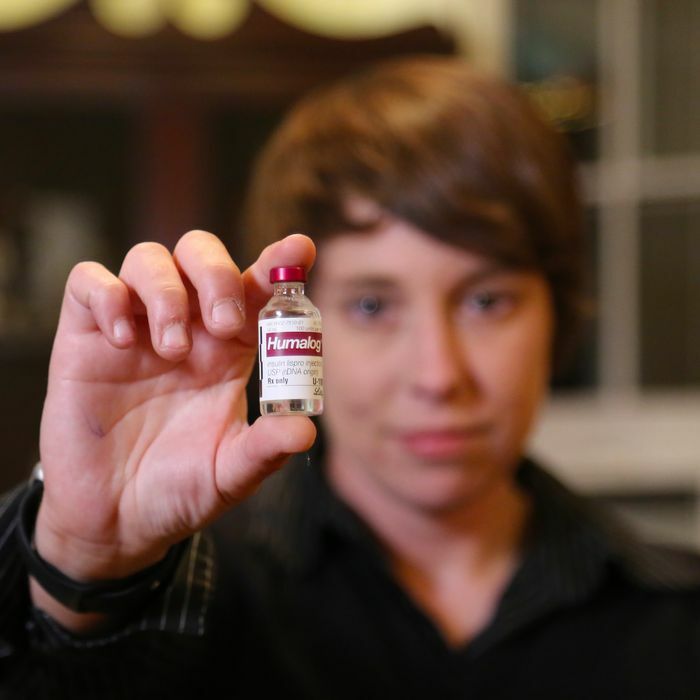 A singular solution for insulin price hikes probably doesn’t exist. The problem is systemic, and would have to be addressed from several fronts. Insurance deductibles, for example, can be high, which burdens patients. And in the U.S., drug prices are negotiated by private payers and not the U.S. government, which contributes to high prescription drug costs. Drug companies themselves claim the high prices fund innovative research. But research published in Health Affairs earlier this month undermined that argument, finding that innovation often had little to do with increases in the cost of prescription drugs like insulin. “The main takeaway of our study should be that increases in prices of brand-name drugs were largely driven by year-over-year price increases of drugs that were already in the market,” the study’s lead author, Immaculata Hernandez, told NPR. In most cases, drug manufacturers are raising prices because they can. And unless that changes, there will be more cases like Dillon’s — and more diabetics will die.